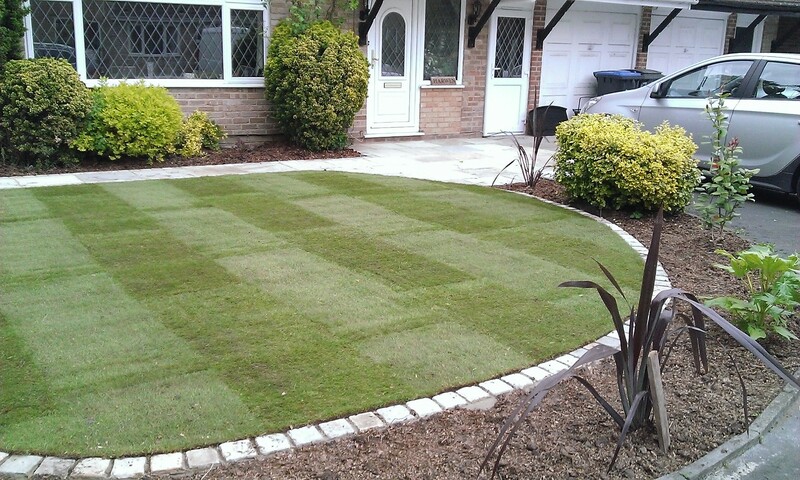 New Dawn Garden Life – Garden design and landscaping, Newhaw, Addlestone Surrey. 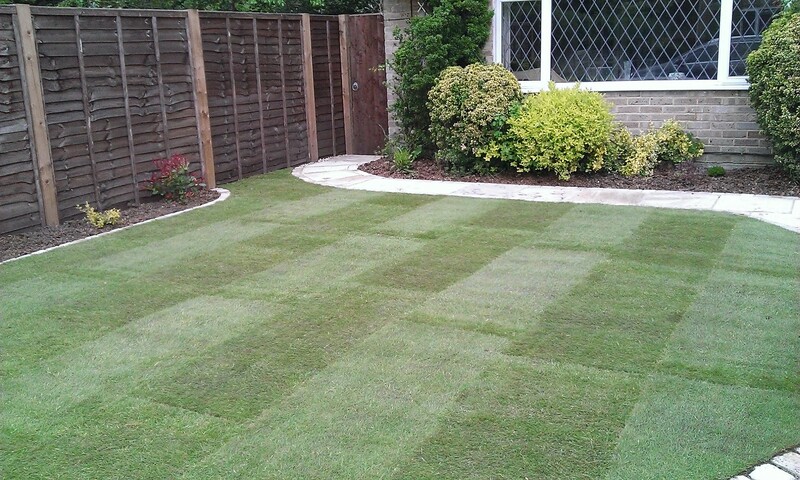 Including turfing, sandstone paving and sandstone cobble sets for a garden border. 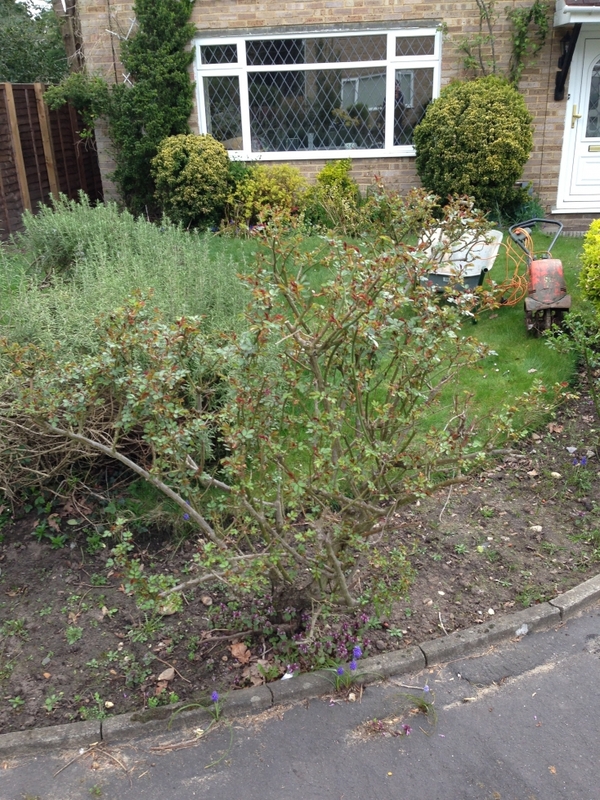 Sue from Newhaw, Addlestone had a very scruffy overgrown front garden that she wanted to look more presentable. 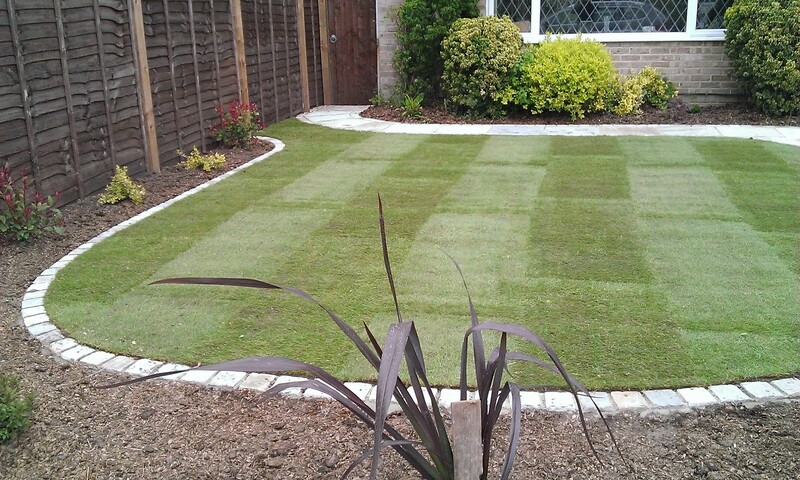 She contacted New Dawn Garden Life to see if they worked in the Newhaw Addlestone area and to get some advice for a garden design and some landscaping. 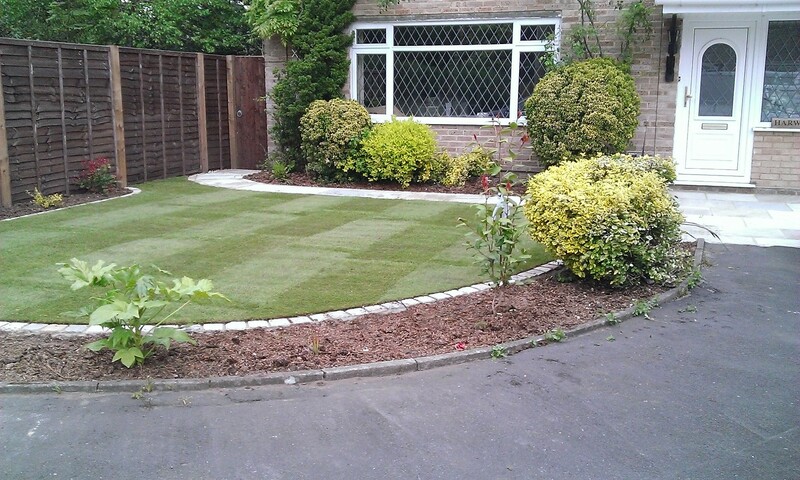 Carl from New Dawn garden life recommended using the sandstone paving and the sandstone cobble sets to create a sweeping curve to form the garden borders and new lawn shape. This proved the perfect and simple design shape for some new plants. Sue is very happy with her new front garden especially now that the maintenance is so easy. She has contracted New Dawn Garden Life to also design and Landscape the back garden.